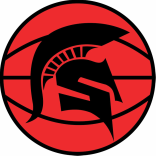 Middle School players will observe a Spartan varsity practice. This will be a great opportunity for each middle school player to see how our offensive and defensive system should look and to see how their position should be played. This will be a quick 50 minute practice followed by an opportunity for all middle school players to meet the varsity players. Coach Welch will conclude the night by sharing his expectations of all middle school players..